Ok these ones I'd like to say I made up. I saw the Masterchef winner do this to his meal a couple years ago, and it's always stuck with me. 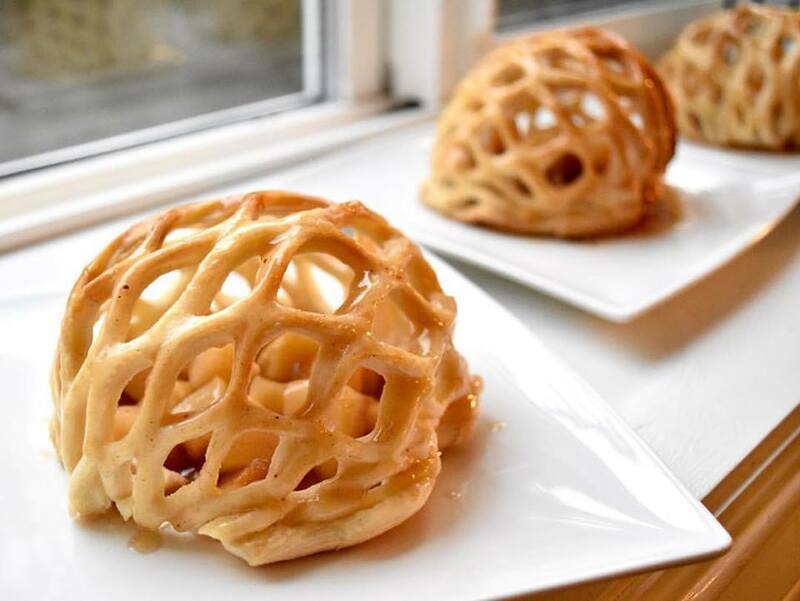 Take puff pastry - any recipe you make, or the freezer bought kind and turn it into this elegant cage! - Carefully wrap the pastry over the parchment balls and bake in the oven! For the filling, I took my favourite apple pie recipe and filled the middle. You can get creative with the filling - even place some ice cream in there.